Gainesville Rose Society: Best in Class! 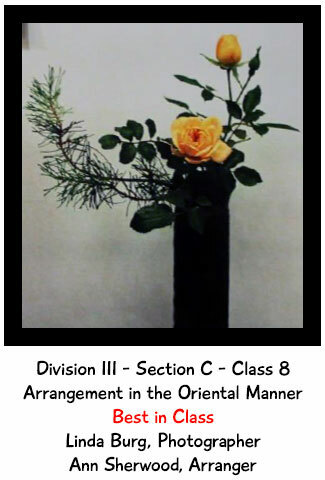 "We were so excited to see this photo at the Rose Convention, Ralph and I attended this past week in San Diego California, as the “Best in Class” Arrangement in the Oriental Manner." "It was submitted as a photo entry in the photography section of the show. It was taken by Linda Burg, giving credit to our very own Ann Sherwood as the arranger! There it was for all the 300 plus registrants to see what our Deep South District arrangers can do!" "Ann, we are so proud of you!"